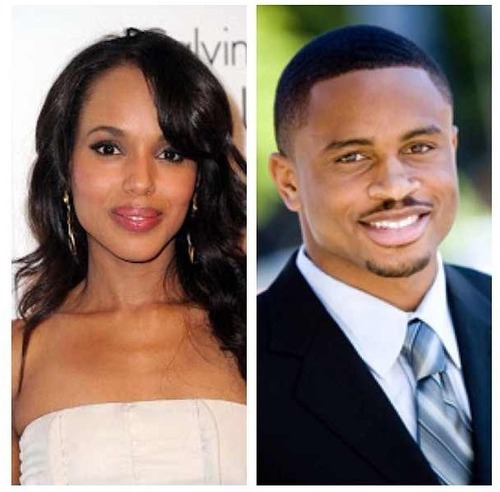 Scandal Star Kerry Washington and Husband Nnamdi Asomugha expecting; pregnant with first Child..
Scandal top babe and best dressed female 2013 Kerry Washington is pregnant with her first child with Husband Nnamdi Asomugha. The very private actress who secretly married her NFL star beau in June is said to be almost 4 months gone. Kerry and Nnamdi are said to be ecstatic! Hmmmm sharp Naija guy! That baby is sure gonna be fine!!!! Congratulations are in order..